SAN FRANCISCO, Sept. 6, 2018 /PRNewswire/ -- The Selection Committee of the Breakthrough Prize in Fundamental Physics today announced a Special Breakthrough Prize in Fundamental Physics recognizing the British astrophysicist Jocelyn Bell Burnell for her discovery of pulsars — a detection first announced in February 1968 — and her inspiring scientific leadership over the last five decades. Bell Burnell receives the Prize "for fundamental contributions to the discovery of pulsars, and a lifetime of inspiring leadership in the scientific community." Pulsars are a highly magnetized, rapidly spinning form of the super-dense stars known as neutron stars. Their discovery was one of the biggest surprises in the history of astronomy, transforming neutron stars from science fiction to reality in a most dramatic way. Among many later consequences, it led to several powerful tests of Einstein's Theory of Relativity, and to a new understanding of the origin of the heavy elements in the universe. Yuri Milner, one of the founders of the Breakthrough Prizes, said, "Professor Bell Burnell thoroughly deserves this recognition. Her curiosity, diligent observations and rigorous analysis revealed some of the most interesting and mysterious objects in the Universe." Five decades after her dramatic discovery of the pulsar, Bell Burnell will be recognized at the 2019 Breakthrough Prize ceremony on Sunday, November 4, 2018, where the laureates of the annual physics prize will also be honored, along with the winners of the Breakthrough Prizes in Life Sciences and Mathematics and the Breakthrough Junior Challenge. 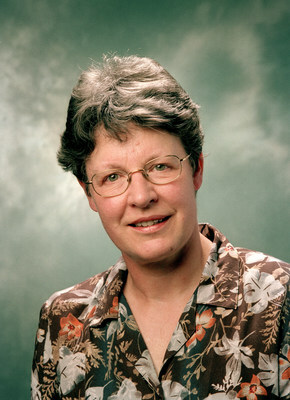 Jocelyn Bell Burnell was a graduate student in the mid-1960s, working with Anthony Hewish at the University of Cambridge. While taking data with a new radio telescope that she had helped build, she found an unexpected signal: regular pulses of radio waves. With perceptiveness and persistence she characterized the signal and showed it originated from space. She had discovered pulsars. Hewish shared with Sir Martin Ryle the 1974 Nobel Prize in Physics "for his decisive role in the discovery of pulsars." The pulsars in whose discovery Bell Burnell played such a pivotal role are marvels of nature. They are stars roughly the size of San Francisco with masses comparable to the Sun's. They are rich in neutrons (particles found in the nucleus of atoms) and can spin so rapidly that their surfaces move at a significant fraction of the speed of light. "Jocelyn Bell Burnell's discovery of pulsars will always stand as one of the great surprises in the history of astronomy," said Edward Witten, the chair of the Selection Committee. "Until that moment, no one had any real idea how neutron stars could be observed, if indeed they existed. Suddenly it turned out that nature has provided an incredibly precise way to observe these objects, something that has led to many later advances." The study of pulsars has led to some of the most stringent tests of the General Theory of Relativity and the first observational evidence for gravitational waves. In one of the most exciting recent astronomical events, the coalescence of two neutron stars was observed in gravitational waves by LIGO, and in a wide spectrum of electromagnetic waves by a host of other observatories. Such coalescences — called hypernovae — are one of the primary sources of heavy elements, like gold, that are so much a part of our daily lives. As they rapidly rotate, pulsars emit radio waves, visible light, X-rays or gamma rays like a lighthouse beam sweeping the sky. It was this kind of radio emission that Bell Burnell detected. The regularity of these pulses make pulsars extraordinarily accurate natural clocks — precise to one part in a thousand trillion — meaning a pulsar that is active today has slowed down by only about a second since the age of dinosaurs. Because of these properties, pulsars have helped astrophysicists map our galaxy and the visible universe. For the last half-century, Bell Burnell has remained deeply engaged in astronomy, teaching at multiple research institutes and taking on leadership roles such as project manager of the James Clerk Maxwell Telescope in Hawaii. Ever a champion of science, education and the STEM curriculum, she has been President of the Royal Astronomical Society, and the first female President of both the Institute of Physics and the Royal Society of Edinburgh. Bell Burnell is currently a Visiting Professor of Astrophysics at the University of Oxford, and Chancellor of the University of Dundee. She received a CBE in 1999 and a DBE in 2007 for her services to astronomy. A Special Breakthrough Prize in Fundamental Physics can be awarded by the Selection Committee at any time, and in addition to the regular Breakthrough Prize awarded through the ordinary annual nomination process. Unlike the annual Breakthrough Prize in Fundamental Physics, the Special Prize is not limited to recent discoveries. The Selection Committee for the Breakthrough Prize in Fundamental Physics includes: Nima Arkani-Hamed, Charles Bennett, Lyn Evans, Michael B. Green, Alan Guth, Joseph Incandela, Takaaki Kajita, Alexei Kitaev, Maxim Kontsevich, Andrei Linde, Arthur McDonald, Juan Maldacena, Lyman Page, Saul Perlmutter, Alexander Polyakov, Adam Riess, John H. Schwarz, Nathan Seiberg, Ashoke Sen, David Spergel, Andrew Strominger, Kip Thorne, Cumrun Vafa, Yifang Wang, Rainer Weiss, Edward Witten. The Breakthrough Prize in Fundamental Physics recognizes individuals who have made profound contributions to human knowledge. It is open to all physicists — theoretical, mathematical and experimental – working on the deepest mysteries of the Universe. The prize can be shared among any number of scientists. Assets in support of this announcement, including a video and photos of Dr. Burnell, are available for download here. For fundamental contributions to the discovery of pulsars, and a lifetime of inspiring leadership in the scientific community.